Look at all that non-existence, well yeah, there is a little existence sprinkled in. Existence is a condition where an object or being ceases to not exist. Though this definition may appear to be circular, it's all the scientists have figured out thus far. Since the opposite of existence is non-existence, and non-existence seems only to be defined as not existing; there is no other reference with which to define existence other than non-existence, and existence is simply a severe lack of non-existence. Existence began with The Great Unknown. When nothingness- a “zero” began to multiply itself into a collection of zeros; all equaled nothing, but were still collectively- something. Someone asked- “How many zeros do you have?” At this realization that something can come out of nothing, the big bang occurred. Scattering this new existence through the enormous vacuum of nonexistence. This is the point in the article where we have to shake hands and part ways. I know, I know- things were going so well. But you see, it’s right at this point where your parents, religious leaders, friends, tutors, television, and strangers take over. They all have a supposed greater interest in telling you the rest of this story. Don’t worry too much. When you get scared they will include fantastical images of good and evil battling it out, and good always winning. They may even throw in something about a jolly guy in a red suit who rewards you for being good, or a fairy that loves to collect human teeth. Or they may just teach you how to fire an AK-47 in the name of so and so and send you off to kill infidels. No matter what though, someone will teach you something to complete this void, leaving very little room for you to insert your own ideas. What’s that? You would like to free up some room right now? Expand your mind? No, I’m not talking about LSD silly. If you’ve got some extra space in your cranium than by all means- read on. 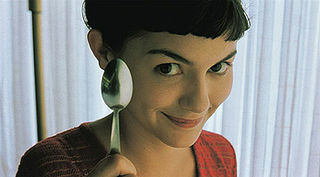 Yes, Amelie has a spoon, but she's special. The first thing you have to understand is there are no answers-yet. 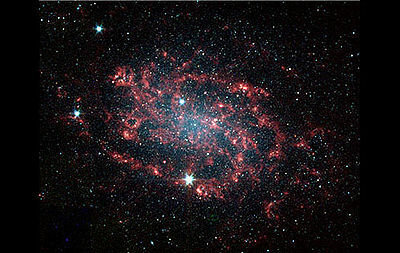 If anybody really knew why anything exists, could really explain it- than we would be finished here. Yeah that’s right, people would actually shut up, and stop fundraising. Nobody can agree on anything because the answer has not yet been discovered. It’s not love, or any of that touchy feely “why can’t we all just get along” crap. Love is not the universal answer. All the fun spiritual propaganda out there aimed at explaining the universe and moral issues still fails to logically address the issue of existence. The people around you would love for you to go back to bed and ignore these fundamentals. Swallow some dogma or other that’s been kicking around for the last seven thousand years. God or no gods, nobody knows where existence comes from. At this present time we can only classify the states of existence. This page was last edited on 3 October 2012, at 04:42.